The celebrations are said to be perfect only if they include excellent decorations. This makes the place look classy and more exciting for the guests. At most of the celebrations like anniversaries, weddings and birthday parties, the main focus of the guests is on the decoration part. These days, it has become a trend to get the most modern decorations done the events by making the use of round tables covered with round polyester tablecloth. 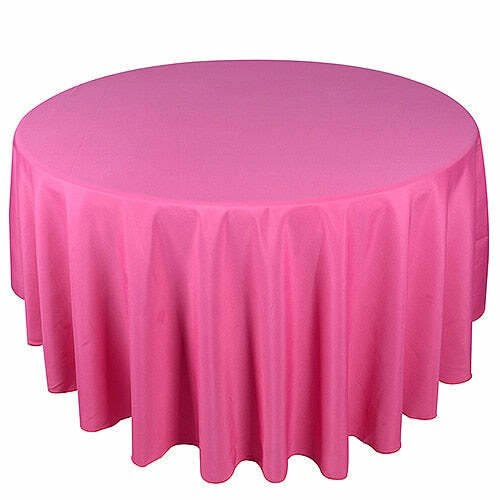 At BB crafts, we provide the best quality poly table linen at affordable rates and here you can also get 90 inch round polyester tablecloth in a variety of shades. These days the 90 inch round tablecloth is in high demand as it makes the place looks extremely amazing and classy. So, don't miss the opportunity to embellish your celebrations with these amazing tablecloths.